by David Sheihan Hunter Lindez, Brother of H.R.D.M., and Knight of R.S.Y.C.S. 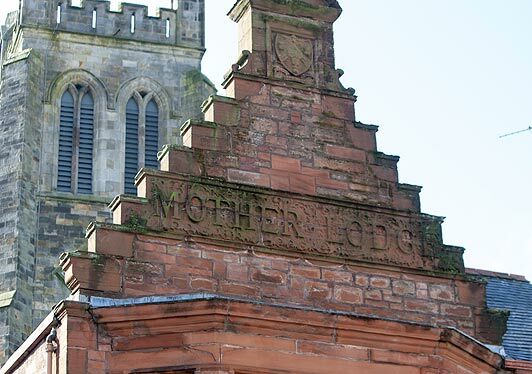 In Scotland one finds what has been referred to by the Masonic World as "The World's Most Ancient Masonic Lodge" in the form and name of Mother Kilwining Lodge No. 0 in the old village town of Kilwinning in the county of Ayrshire on the west coast of Scotland just opposite the Scottish isle of Arran. Mother Kilwinning Lodge, as she is known, is "number nothing". This is an acknowledgment of her seniority. Mother Kilwinning, known initially as the "First Metropolitan Lodge of Europe" has over time actually chartered other lodges. Mother Kilwinning Lodge was referred to by Schaw (the "Maister of Wark and Warden of the Maisonis" as the "heir" Lodge of Scotland. He insisted that it was in possession of "many old actis and statutes." Most of these are said to have been lost in a 1544 fire. 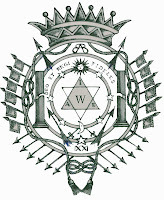 Mother Kilwinning, the First Metropolitan Lodge of Europe, is associated with an array of telling traditions, including the use of 'Kilwinning' in attributing ancient origin to things Masonic. The Town of Kilwinning itself is according to various lore associated with the abbeys on the Western Isles of Mull, Man & Iona, the birthplace of speculative Freemasonry as we know it. Lodge Canongate Kilwinning No.2 in Edinburgh, Scotland has in its very name, a token of acknowledgment to Mother Kilwinning. Canongate Kilwinning meets in St John's Chapel, known as the most ancient lodge room in the World and is the very place where the Grand Lodge of Scotland was constituted. Some might say that its naming was an attempt to lend antiquity and mystique to its own history, but truly it is a sign of respect and even obedience to Mother Kilwinning No. 0 in the county of Ayrshire. In 1128, King David I of Scotland called for the Masons of Kilwinning to to journey to Edinburgh to build the Abbey and Palace of the Holyrood. Then in 1140, the Masons of Kilwinning returned to restore their own Abbey. To this day, membership certificates for Mother Kilwinning feature a picture of the ruins of the "ancient Chapter House" with the date 1140. English author and historian A. E. Waite pointed out that Ramsey’s oration affirmed a link through Kilwinning and Palestine with the Knights of the Order of Saint John. In 1314, King James, the Lord Steward of Scotland, presided over a meeting of Kilwinning where two aristocrats were admitted as Speculative Masons. The first was an English Earl of Gloucester, the other an Irish Errenagh of Ulster. The Lodge of Heredom, often abbreviated in old Masonic texts as HRDM, is recorded by the Royal Order of Scotland as having been established in Kilwinning in the year 1314 by Robert the Bruce, King of Scotland. In the year 1491, King James IV held a Masonic festival and agape at Kilwinning. 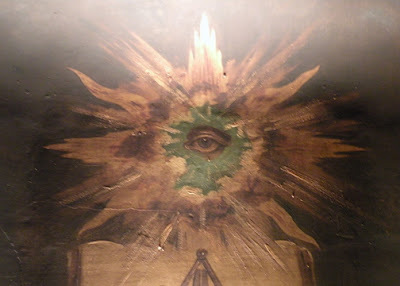 A few noted curiosities that set Mother 0's ritual and operation apart from much of the World include the fact that the Mark Master Mason degree is part of the Fellowcraft degree. One must hold this degree either through a Mark Lodge or a Royal Arch Chapter if they are visiting from another Constitution and attending a meeting of Master Masons. Also, there are, as is the case throughout Scotland, three Masters to contend with. There is the Right Worshipful Master, the Deputy Master and the Substituted Master. The Provincial Grand Master is always the Right Worshipful Master of Mother Kilwinning Lodge. Lodge Canongate Kilwinning No. 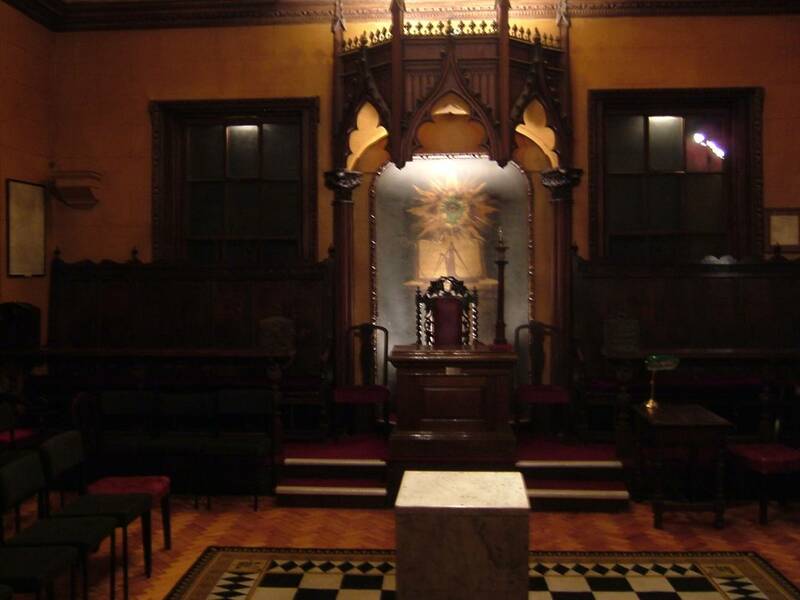 2 meets in St. John's Chapel, which is known to be the oldest continually used Masonic lodge room in the World. This is the room where the Grand Lodge was eventually founded and where one of Canongate Kilwinning's members, William St. Clair of Rosslyn, would become the first Grand Master Mason of Scotland. Canongate Kilwinning has held her meetings in St. John's Chapel since 1735. The arrangement of the lodge consists of the a triangular form where the Master's and Wardens form three points. 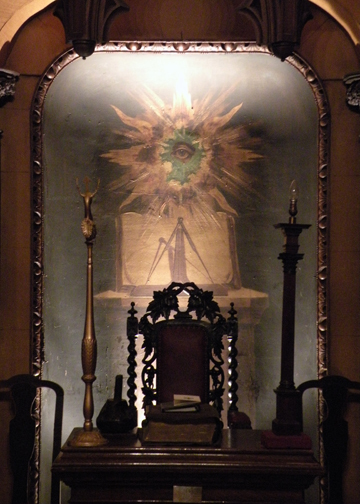 The Master's chair forms the apex in the East, just as one would find on the Continent or in a Scottish Rite or red lodge. There is a Masonic museum on site, and like St Mary's and Mother Kilwinning, it is home to some priceless archives of Freemasonry. The organ in the lodge room is composed of natural reeds and was installed in 1754. It is the only organ currently existing, on which Robert Burns' songs were played in his presence as he was being affiliated into the lodge in 1787. He is said to have personally played the organ once he was officially made a member. He was the first person to be given the honor of Poet-Laureate of the lodge on March 1, 1787. The likes of Anthony O'Neal Haye (Magus Max, the founding Supreme Magus of the Societas Rosicruciana in Scotia) would later earn the same distinction in 1860, and Rudyard Kipling would follow in his footsteps in 1905. There are large oil portraits of Burns and Sir Walter Scott on the panels of the walls, and the seat where Burns traditionally sat is marked by a bust on a bracket upon the wall. As mentioned previously, Lodge Canongate Kilwinning No. 2 has opted to pay tribute and display its reverence and some say "obedience" to the Mother Lodge of Kilwinning by appending the word Kilwinning to its name as others (Greenock, Cumberland, etc.) have similarly done themselves. Lodge Canongate Kilwinning No. 2 traces its operative roots and corporate privileges back to the building of Holyrood Abbey and Palace in 1128 for the Canons Regular of St. Augustine, dedicated to the Holyrood Cross, which tradition holds as a relic of the True Cross upon which Jesus died. It was brought to Scotland by Saint Margaret. King David chartered the priests, and the work was carried out under the constitution of the Burgh of Canongate. In 1677, they identified themselves as part of the greater body of Freemasons. 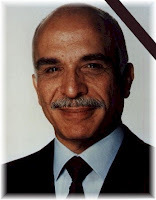 Saint Johns Day in Haiti A.'.L.'.G.'.D.'.G.'.A.'.D.'.L'UN. '.